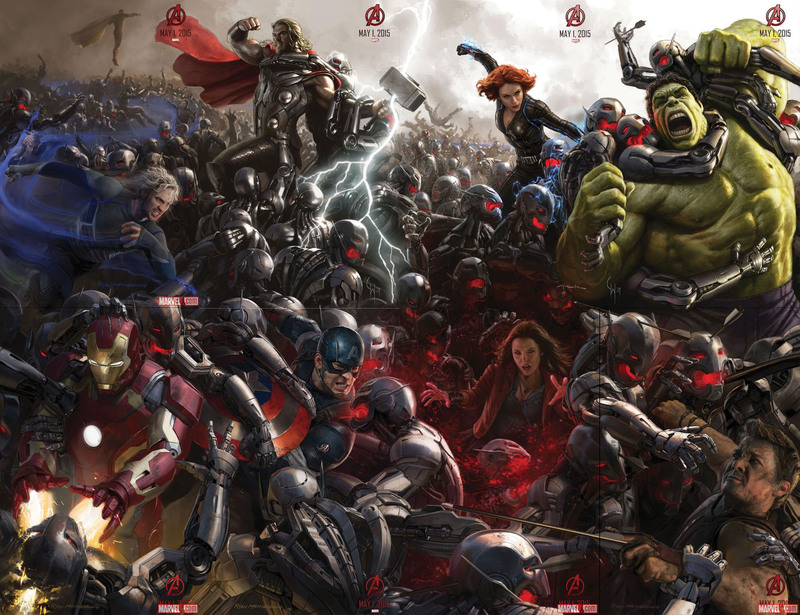 Ultron is the focus of the newest trailer for Avengers: Age of Ultron — with a brief recap of his origin and James Spader using his creepiest voice to lay out the evil AI’s plan to destroy Earth’s Mightiest Heroes. An all-female Avengers team called A-Force will emerge from the Secret Wars event, taking over after older versions of the team have disbanded (or worse), Marvel Comics has announced. The team will be led by She-Hulk; Dazzler; Medusa; Nico Minoru; Singularity, a new heroine with cosmic powers; and others to be announced. 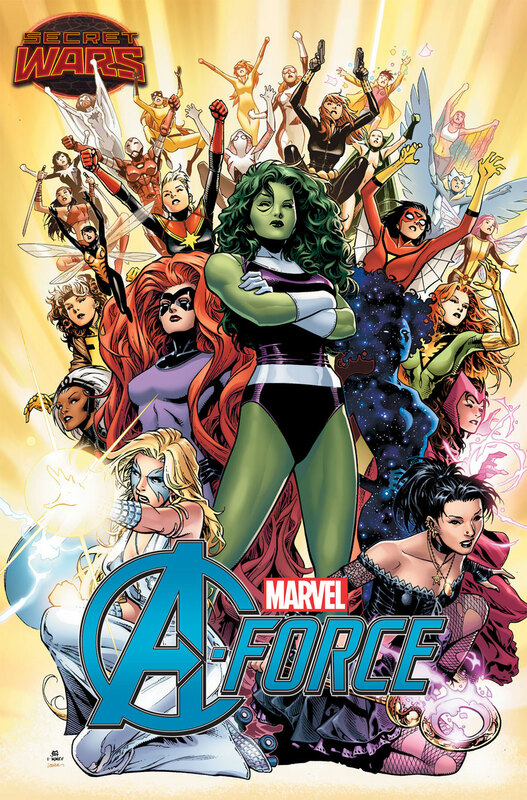 The cover of the first issue, drawn by Jim Cheung, features a huge potential roster, including: She-Hulk, Medusa, Singularity, Dazzler, Nico, Storm, Scarlet Witch, Rogue, Phoenix, Wasp, Captain Marvel, Spider-Woman, Pixie, Elektra, Rescue, Spider-Gwen, Black Widow, Moondragon, Snowbird, Aurora, Capt. Marvel II, Hellcat, Firestar, Vindicator, Jubilee and Spectrum. You don’t have to wait for the Super Bowl to see this cool commercial — the first official TV spot for Avengers: Age of Ultron! This clip is heavy on Hulk and Black Widow action. Directed by Joss Whedon, A:AoU opens May 1.